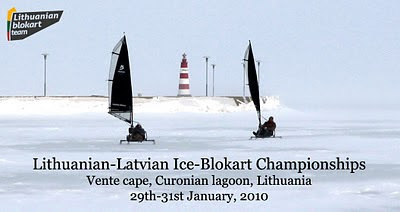 Everybody is welcome to participate in Lithuanian-Latvian Ice-Blokart Championships 2010. Venue is set at Ventė cape, Curonian lagoon which has superb ice of 35 cm thick and 0-4 cm of snow. 8 latvians and more than 10 lithuanians are attending the event which will be a good test before Ice-Blokart Worlds 2010. Bring more wind and more sun! 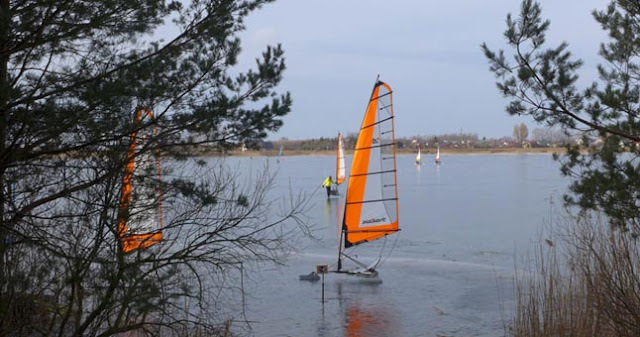 Ice-Blokarts for rent will be available, please register by e-mail at info[eta]irklakojis.lt or call +370 618 81957.